When giving homework, it must always be based upon learning goals your students have to reach, just like in your lessons. But it’s sad to see that lots of teachers are using homework as extra lesson time. Of course, as a teacher, you’re on a clock. But that doesn’t mean your students have to suffer from it and keep on working on those boring textbooks and worksheets at home. Consider goals like attitudes, real life experiences and practice, physical exercise, social encounters, creative solutions and philanthropy as important as your lesson goals. These are things students don’t just pick up in your classroom. These are things they pick up in life. In this blog post I’ll give you some innovative homework ideas that will engage your students more. 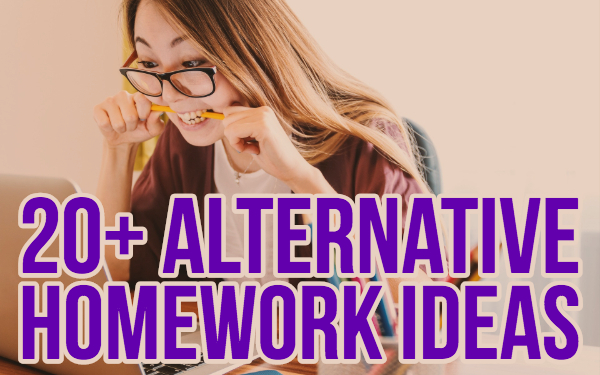 These alternatives to traditional homework will thereby also teach your students new things that can’t be taught in the classroom. I will mention homework alternatives for primary school and for high school. Some of these ideas can be changed a little bit so they are the perfect fit for the right audience. Cooking combines courses and goals like comprehensive reading, chemistry and math. Students won’t notice, but they have to understand the recipe in order to complete the dish. They have to measure and weigh all the ingredients and they learn about how the ingredients react with each other. Fascinating, isn’t it? This is definitely one of the most creative homework assignments. Let your students come up with an idea for a board game about the lesson content. They have to make cards, pawns, draw, write, cut and paste. They have to use their imagination and inventive ideas to create a coherent board game. Birdhouses are good for the bird population. Besides that, students will need to use their practical skills to accomplish the challenge. They will have to measure all the parts and handle tools they’ve never used before. They will learn how to read a blueprint or how to create one. If you’re dealing with older students, it’s definitely a good idea to let them sketch and draw their own bird-dreamhouse. A book review can be fun and creative as well. Let your students transform a book character into a hand puppet? Students have to read the book in order to know how the book character looks like. Afterwards, they have to tell what’s the book about with their hand puppet. Let your students gather as many coupons as they can by going to one single store. Let them write down the original price of the products and then calculate the discount. Which students come out the cheapest? This math homework activity teaches the students to calculate percentages in real life. Let your students visit a zoo and be the family guide. They have to read the map or create their own map afterwards. You can also let them translate or look up the translation for a foreign language of every animal they visit. There are a few lessons, students can learn from this visit. Lots of people throw away perfectly recyclable things you can still use or give a new life. Let them (if possible) pick out a few pieces and give it a new life. The purpose of the tool may be something totally different. Students will also see that the amount of (plastic) waste is still immeasurable. Hopefully, it will encourage them to reduce their own waste consumption. Students go to the forest and build their own tree house. First, students have to come up with a plan of a treehouse. Then, they can start measuring, sawing, and building. Let them decorate the tree house with objects out of the forest. Students learn how to sketch & draw and how to replicate a “bueprint” or a drawing in real life. They learn to appreciate nature, handle tools and they go outside from time to time. Assign fun learning games to your students. 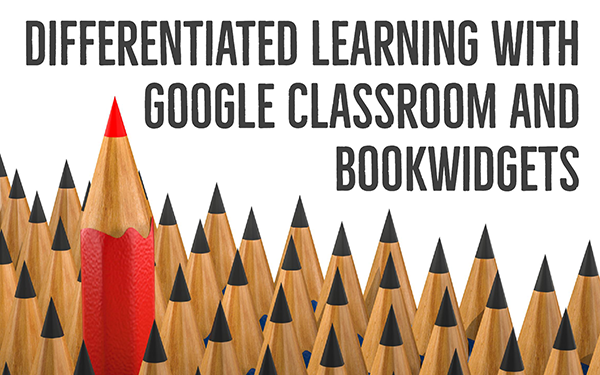 With BookWidgets your students are gaming, but also learning. As a teacher, you can put your lesson content into a crossword riddle, a wordsearch, a pair matching exercise. Here’s an example for in the elementary classroom or this “spot the difference” exercise for high school students. Let your students build a replica of the school or of their house in minecraft. It will teach them orientation and it will teach them to read the instructions and follow them. In order to build a replica of their house, students have to measure the areas in the complete house. This means that they will learn how to calculate areas and volume as well. A lot of card games like hearts, patience, bridge, poker, … require a good amount of common sense (and counting). Encourage your students to visit their grandparents and play a game with cards. Their grandparents or family will love it! I always enjoyed playing cards with my grandparents, even if they couldn’t handle their losses! 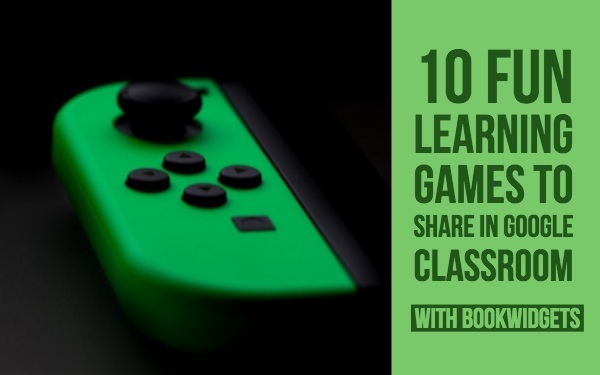 I know what you’re thinking… “Do we really need to encourage students to play games?”. Yes, you do. In these two games, students need to build a zoo or a theme park. But that’s not all. They have to solve problems all the time. They have to gather money to keep on building and to make the park profitable. This game teaches students how to handle money and how to solve problems. And it’s fun as well. That’s exactly the point. Students will learn and remember quicker when they are interested in what they are learning. Rope skipping is the perfect sport to teach and test agility. Encourage students to go rope skipping and combine it with a game. Many rope skipping songs let your students do different tricks while rope skipping. This is a great opportunity for homework as well. Ask your students to transform a rope skipping song to a song with lesson content. Let them count or spell or even sum up the different states or capitals. In a lot of local towns, associations organize walking quests. Students have to go on a walking tour and they get a paper with pictures on it. They have to find the points on pictures on their way and put them in the right order. This is a fun activity that requires your student’s attention as well. If there aren’t any walking quests in the neighbourhood, you could ask your students to create a walking quest like this for their fellow students. What a fun day it will be! 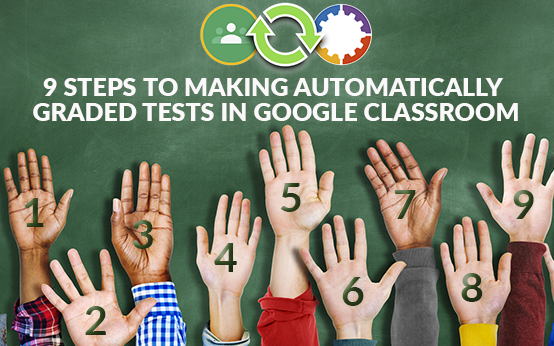 Students have to create a quiz out of the lesson materials. This lets them work with the lesson material, and thus helps them remember it better. Besides that, they have to make a game out of it. It’s not an ordinary quiz: it’s a quiz with challenges. In order for students to answer the questions, they have to run and pass a challenging parcour. This is a fun homework exercises, and in the end, it’s a great lesson starter or lesson end. Ask your students to go swimming after school or on Sunday morning. They also have to create plasticised cards from A to D attached to a cord with a weight. They have to prepare fun questions about the lesson material or just questions about the world. The student takes with their family and start the “swim quiz”. The answers are at the bottom of the pool and participants have to dive up the right answer (or letter). Many online services make it easy for you to create an online picture album. Let your students do the same with their holiday pictures. They have to write a few sentences under each picture as well. This teaches them to handle the online software, add pictures and write without spelling mistakes. And of course, creating memories is so much fun! Job applications are still mostly done by email. This homework task challenges students to dig deeper and to present them by using video. Students learn how to put together an application, learn how to edit their video, and how to present themselves. Another great challenge is this one: let your students shoot a video of 10 minutes about their own life and what they have been through. Students will have to write a script as well and make a storyboard. Then they have to start filming and edit the movie. You’ll get to know your students and they will get to know each other. This homework task is already an old one, but it has so much potential. Find a school in another country, speaking another language that is willing to do the same. Every student gets one pen-pal and they write emails to each other in the language of their pen-pal. It encourages them to write in a foreign language. They will also see the value in it as they will have to be able to speak another language on their work later in life. A lot of people don’t have much money to spend on food, or have no access to food at all. Growing a community garden with vegetables can help. This alternative homework task is much bigger than the others. It requires motivation and perseverance. It’s a long term (school) project that’s not done after one day. Students will have to plant the seeds, grow the greens, harvest the food and deliver it. Lots of elderly people are all alone. They would give anything for a visit from a nice and friendly face. Let your students help out in a retirement home. Let them talk to the people, play cards, prepare fun activities and so on. Putting a smile on these people’s faces will lighten up the world, even if it’s just a little bit. A lot of students don’t have a clue what’s happening in their own neighbourhood. It’s possible that they don’t even understand the word “poverty”. Let them help in the homeless shelter, and give the homeless food. Let them play cards with them and just talk to them. This challenge can be very confronting, but also a wise lesson. I know this isn’t the nicest homework, but it teaches students some important lessons about the environment. Ask your student to collect a bucket full of litter they found on the side of the road. Students will see that there still is a lot of trash just lying around. That’s their first lesson: make them aware of this problem. Then, ask them to sort the trash. This is their second lesson: lots of students don’t know what waste goes into which bin. Here’s another homework tip: Don’t call homework “homework”. Call it a challenge. Homework has become a negative word for students, and I bet they start rolling their eyes as you even mention the word. For many more ideas for homework, you can check this pdf file. It’s a long list of 22 (!) pages full of alternatives to homework.